🧕 A Pisces born in March 3 1990. 🧕 Currently in the Mom Millennial demography. A mom of 1 and also a wife. 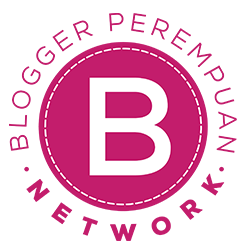 🧕 Blogging with a side of teaching college classes, English classes, MC, moderator and video voice-over. 🧕 Bogor is my home, but so is Gainesville, Florida. 🧕 I have a love for agriculture, food, books, music, movies, make up, travelling and anything else I can get my hands on! Successfully managed to get a bachelor and a master degree from IPB (Bogor Agricultural University) under my belt. Yes, they are all in the field of Agriculture (Agronomy & Horticulture as well as Plant Breeding and Biotechnology). Attended playgroup Libby, TK Akbar, Joseph Williams Elementary School, SD Polisi 4 Bogor, Howard Bishop Middle School, SMP 2 Bogor & SMA 6 Bogor. So you probably know me from one of these schools. I love meeting new people and travel. That’s why I’m active in International Association of Students in Agricultural and Related Sciences (IAAS) LC IPB during my college years. This organization is a blessing! Other than that, I will forever be a lifelong member in Himpunan Mahasiswa Agronomi (Himagron) IPB, along with my mom and dad as alumni. Along my college years, I also joined various activities that introduced me to many inspiring people and made me who I am today. Currently blogging to document my life stories and also share information with others. You don’t really know what others might need. 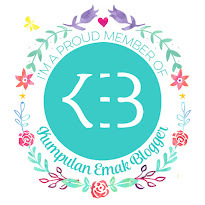 Since I love socializing, I have a membership in Bloger Perempuan, Kumpulan Emak-emak Blogger, Indonesian Female Bloggers, BP Network, Blogger Crony, Blogger Bogor, Indonesia Beauty Blogger, and many more. I am super excited meeting and getting to know new people. I’m getting a hang in this blogging thing and starting to feel confident in writting again (both in Bahasa Indonesia and English). But learning is a never ending process, right? Lots to do along the way. Meanwhile, come see my achievements in the blogging world! Feel free to visit this page or go straight to my Instagram page @faradiladputri.